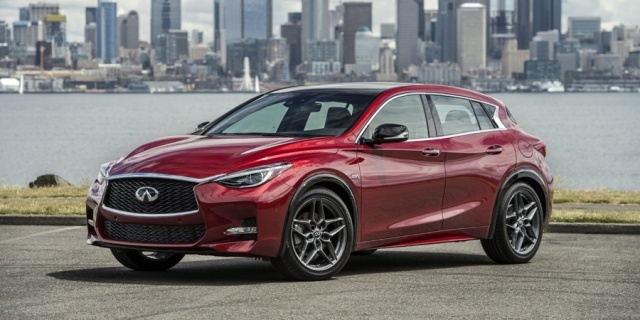 For 2018, the nomenclature of the Infiniti QX30 lineup is adjusted. New standard features include Forward Emergency Braking on all models, a panoramic moonroof on all but PURE models and Blind Spot Warning on ESSENTIAL and SPORT models. Furthermore, a new City Black Package adds unique accents to the SPORT model. Get the best price for the Infiniti QX30 of your choice from a dealer in your area. Request a price quote now.